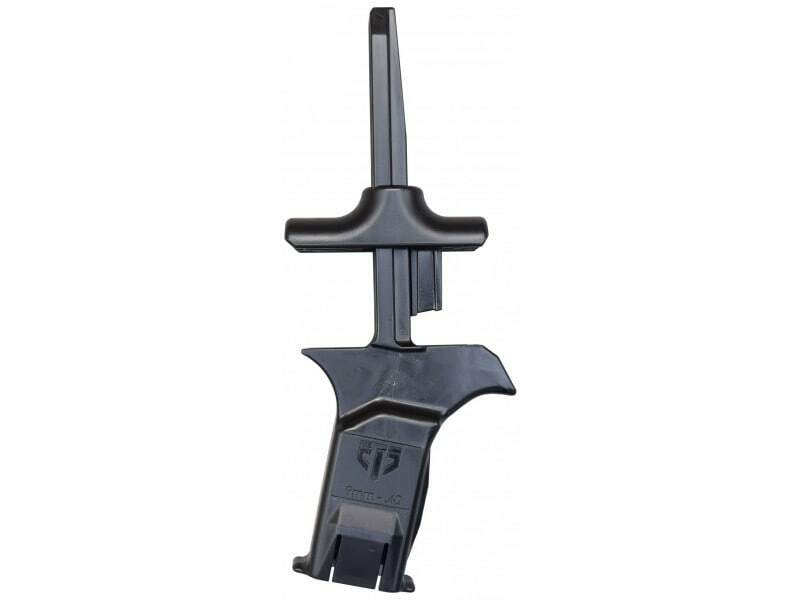 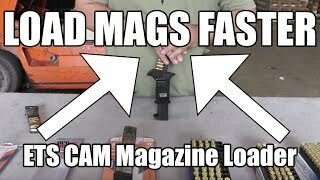 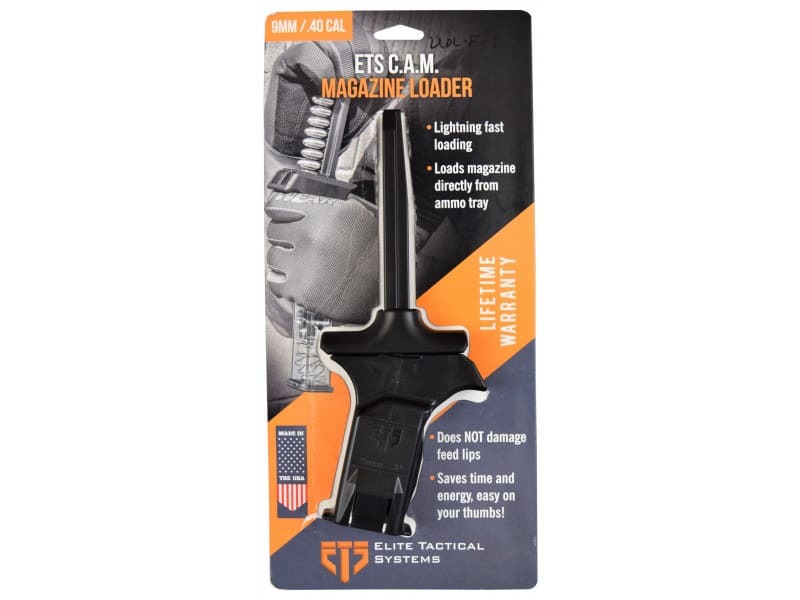 This ETS Camo Magazine loader works with 9mm and .40 caliber pistol magazines. 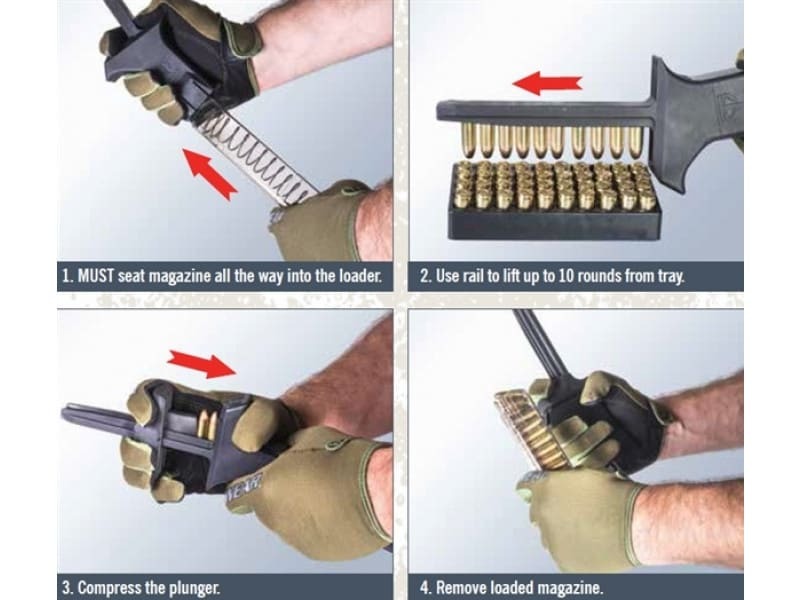 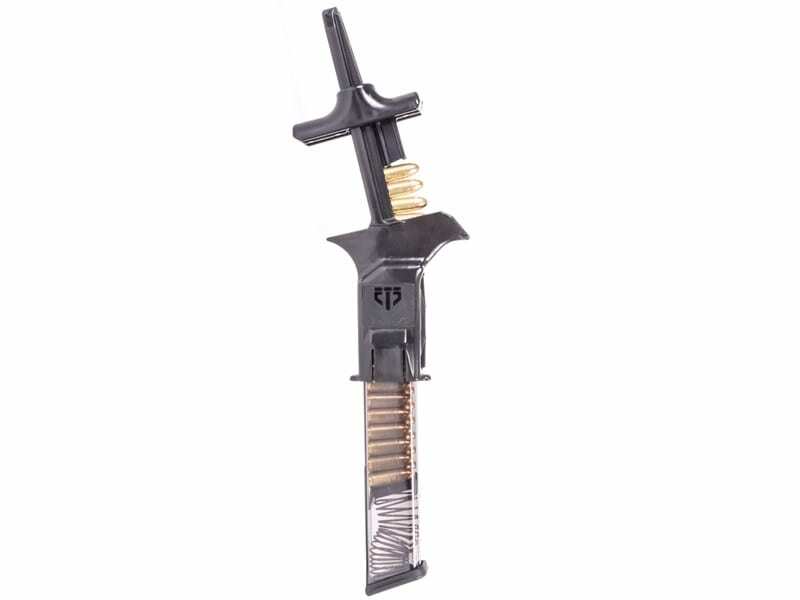 Fits most pistol magazines including single stacks. 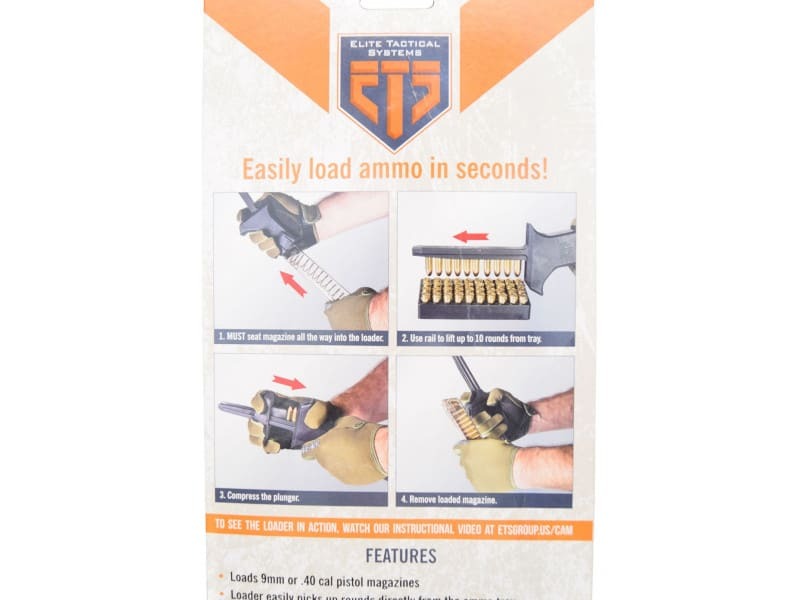 Lightning fast loading directly from the ammo tray. 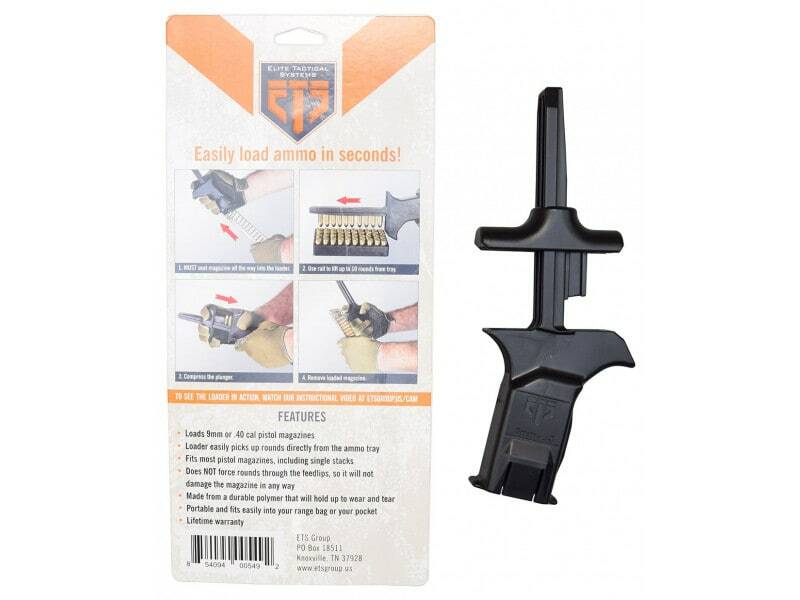 This does not damage the feed lips and will save you time, energy while being easy on your thumbs.